Brandon Flowers is no stranger to pushing boundaries. Over 12 years, both as a solo artist and as the front man of The Killers, he’s achieved a rare combination of mainstream success and credibility that most artists spend a lifetime hoping for. Many would consider The Killers’ sophomore album ‘Sam’s Town’ to be their best work, and Brandon is presumably desiring a similar effect with his own sophomore release, ironically titled ‘The Desired Effect’. First single ‘Can’t Deny My Love’ is an absolute stomper. It almost transcends genre, though it’s been described as a simple combination of synth pop and new wave, but we digress. It’s the first indicator, of which there are many, that 1980s DNA is all over this album. We’re talking John Hughes soundtrack levels here, particularly on recent radio single ‘Lonely Town’. Second single ‘Still Want You’ throws in some indie elements to switch things up whilst ‘Diggin’ On My Heart’ takes us down memory lane to the times of Kim Wilde and the Bangles. Elsewhere, proceedings get slightly more modern, such as on the inspirational mid tempo track ‘Never Get You Right’, which tries to juggle influences from the 1980s and now evenly. Similarly, ‘Untangled Love’ could almost be a song from The Killers back catalogue, right down to its lyrics that speak of the teenage nostalgia of ‘Friday nights and football stands’. Sadly though, things never quite live up to the album’s opening track, the bustling ‘Dreams Come True’. We say this only because that track is such a statement. It’s part big band, part pop/rock, part synth/new wave and part 1980s stadium rock. It’s the kind of song that might alienate radio listeners but will light up arenas and theatres when Brandon does it live. Admittedly, after the one-two punch of ‘Dreams Come True’ and ‘Can’t Deny My Love’, the rest of ‘The Desired Effect’ just can’t compete. We considered judging the rest of the album separately but that kind of defeats the purpose of an album review, doesn’t it? 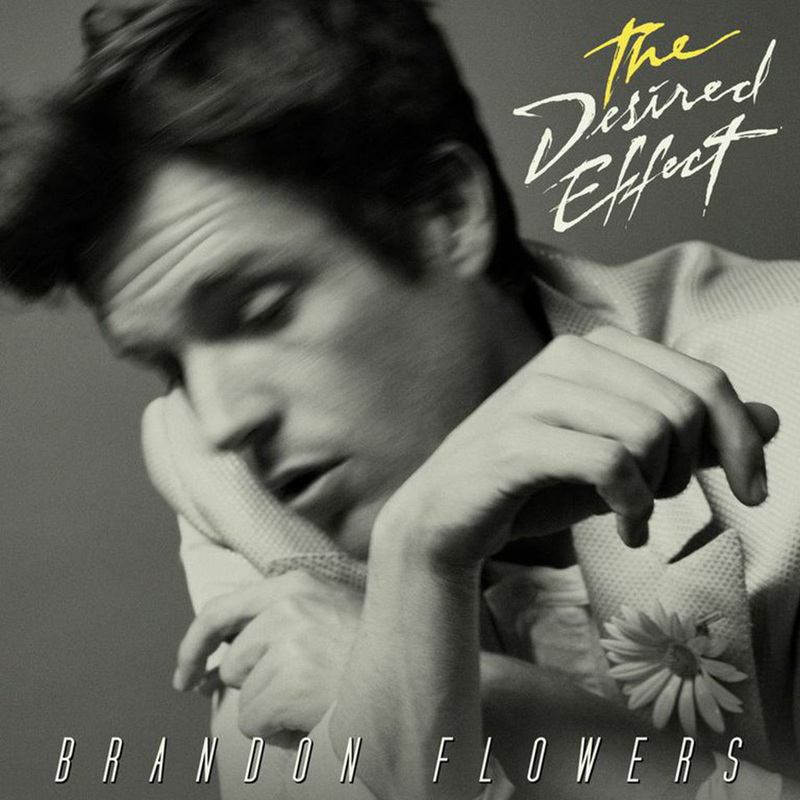 Honestly, fans of The Killers and Brandon Flowers will probably be thrilled by everything on ‘The Desired Effect’, but for us it’s all about those first two tracks. Remind us to get tickets if he comes here; being in the crowd when ‘Dreams Come True’ starts up would be quite the treat.